After talking to a bunch of local iceboaters, we have finally decided to pull the trigger and deliver. 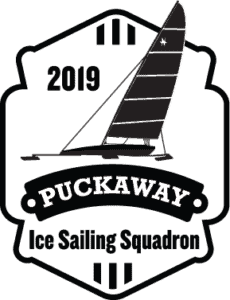 Our goal is simple, more ice time, more iceboating, more fun. How do we do it? Our goal is to provide everyone with more opportunities to get on the ice. The opportunity to weekday race is one example that works well for the Skeeter Iceboat Club, why not jump on the opportunity as well? For people that want more racing on weekends the opportunity to get cracking and enjoy morning ice and get in those extra races is also appealing for others. For our cruising friends, how about the opportunity to get more ice time with other iceboaters? Lake Puckaway (near Montello, WI) is perhaps one of the best locations for early season ice. It has lots of space and it is shallow so it tends to freeze up first and fast. It is the ultimate iceboating site. Our goal is to make it the early season hotspot. We are holding an organizational meeting on October 25th at 7:00 pm out at Mike and Cathy’s to put this all into action. If you are interested in dinner you can come earlier. Come get involved and see what we have already put together and our plans for the future. More ice time more fun!